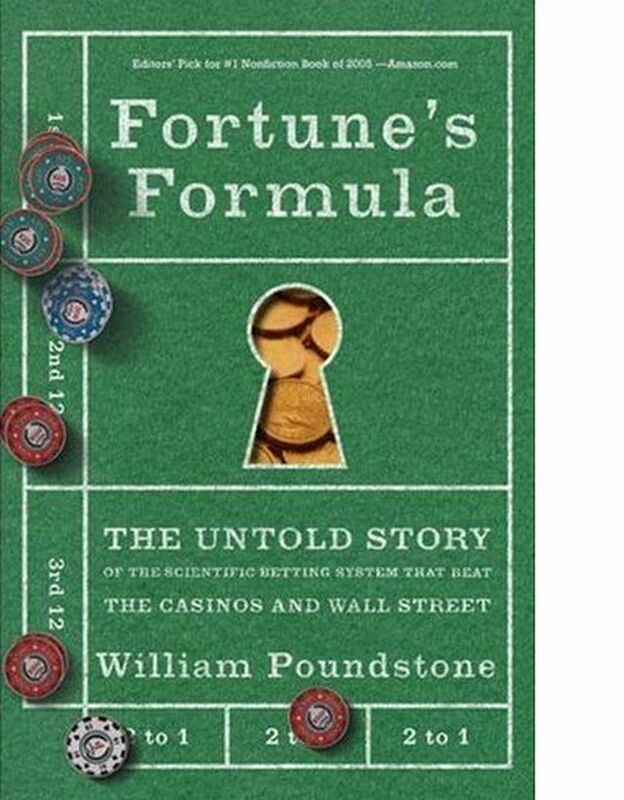 I have spent the past few days reading William Poundstone's book, Fortune's Formula: The Untold Story of the Scientific Betting System That Beat the Casinos and Wall Street. Okay, six years late but I've been busy. A good read save for bits in the middle about corrupt corporations. There are corrupt corporations but I wanted to read about gambling theory. The book is ostensibly an advertisement for implementing Kelly Criterion as used by Edward Thorpe as a money management strategy. In that I cannot disagree. A fool and his money are soon parted and not using Kelly Criterion in your money management will either see you broke or, at least, not making the most of your time and money. Interestingly, the book starts off by discussing the origins of information theory. From gangsters abusing the telephone system to fix wagers and eventually becoming respectable corporations, we end with corporations that fix financial markets and become gangsters. The telephone system begat information theory, leading to Kelly Criterion. Edward Thorpe using Kelly Criterion to maximise his return whilst playing Blackjack. Then moving into the financial markets and being tainted by the corruption of others. I thoroughly recommend the book so that it may send you scurrying to Google Scholar to read papers by Shannon, Kelly, Thorpe et al.